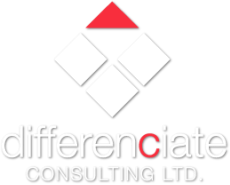 than with Differenciate Consulting LTD because Neil Piitz has been there in the trenches of the promotional Product Industry for over 30 years. He has a documented track record in both Canada and the USA and vast experience dealing with all aspects of the distribution chain (suppliers, multi-line reps, distributors, end-users). Neil spent his entire career focused on problem solving to ensure superior customer experiences ultimately resulting in sales success. He is now equipped and positioned to share these techniques and coach others do the same. The players on your team will learn from Neil’s mistakes and from his successes as he brings to light the basics and the intricacies of flourishing customer relationships, the sales process, and higher level business challenges. Neil presents and interacts with truth, with humor, with proven results, and with tangible and immediately doable solutions and ideas. There is virtually nothing relevant Neil didn't know about his current and prospective customers, his competition, or the market ... and that knowledge laid the foundation for his continuous business success. He will share and teach his extraordinary yet easily implementable methods to companies large and small. your voice of reason in the Promotional Products industry.